Monster CHRISTMAS sale now 50% off! You can now get the game for a gigantic Christmas discount! Head over to Steam now! We’ve entered the game in the IGF competition. Check our page here! If we get nominated, we might get to promote the game in San Francisco next year! Fingers crossed! Awesome news! 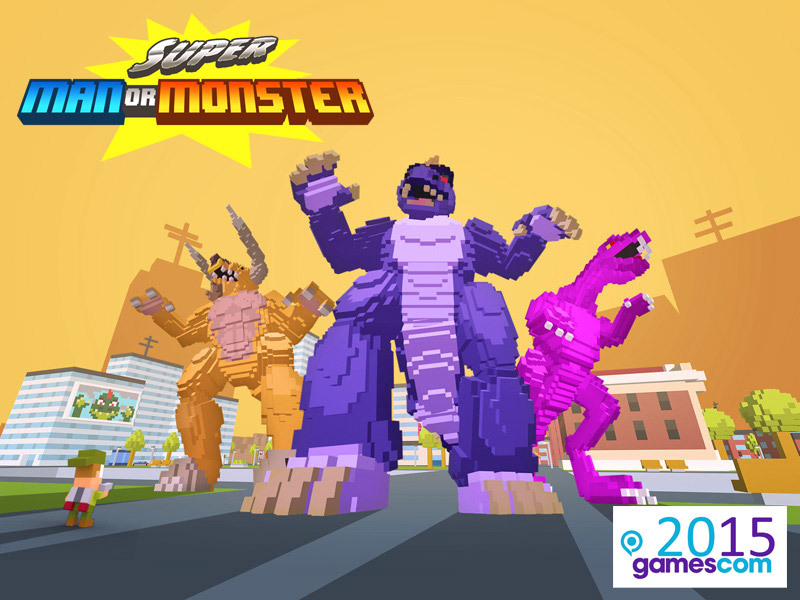 Super Man Or Monster has been Greenlit for Steam! Over the last weeks we received loads of nice comments and questions about the game. We’ll definitely take those to heart when finishing the game. 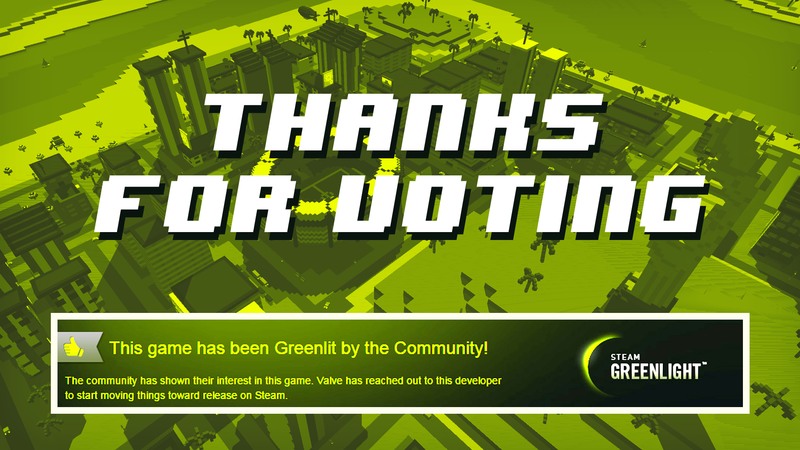 FYI Super Man Or Monster was Greenlit in just 12 days with 1384 Yes votes! How cool is that?! Next, we’ll be implementing all the required Steam stuff into our game. Check back here regularly for updates! Hopefully we can tell you something about a release date soon! Vote for us on Steam Greenlight! As you know we hope to publish the game on PC through Steam later this year. For this to happen, we first need to get through the Steam Greenlight program. If you have a Steam account you can help by voting YES on our Greenlight page! We’ll be showing off Super Man Or Monster at this year’s Holland Pavillion in Cologne, Germany. So be sure to come round and try on the Oculus Rift DK2 for a mindblowing experience. More information about this soon!